My daughters gave me ‘Born to Run’ by Chris McDougall for Father’s Day – both of them bought me the same book – talk about being destined to read it. 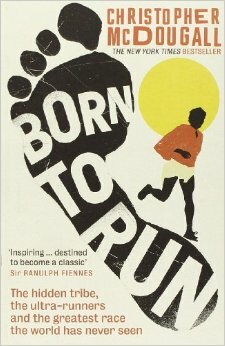 I was expecting an inspirational read about running, ultra-running and bare-foot running. I wasn’t disappointed but it is more, much more; it touches on philosophy, health and the design of the human bodies and McDougall dispenses more knowledge and wisdom in the odd throwaway sentence than many books dedicated to such an end do between their covers. First the running and the inspiration – the book contains such stories and lore of ultra-running that you have no choice but to don a pair of shorts and hit the trails before you even finish the book. Such tales of heroic men and women, such races, such challenges. So, next morning i went for a jog along the beach – bare foot in honour of the book. 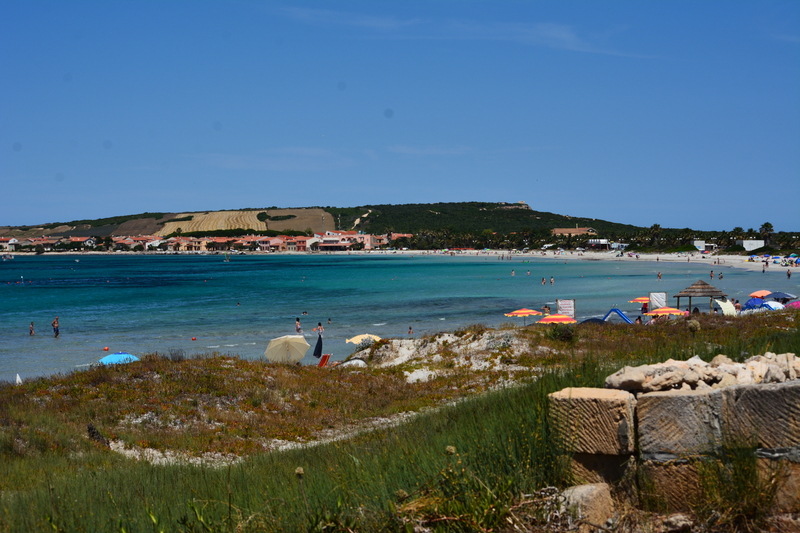 Not just any ordinary beach though, Putzu Idu beach halfway along the west coast of Sardinia. Thanks to wonderful Sardinian friends, we have been visiting Putzu Idu regularly for the last fifteen years or so, in fact one of the above referenced daughters took her first steps in Putzu Idu. 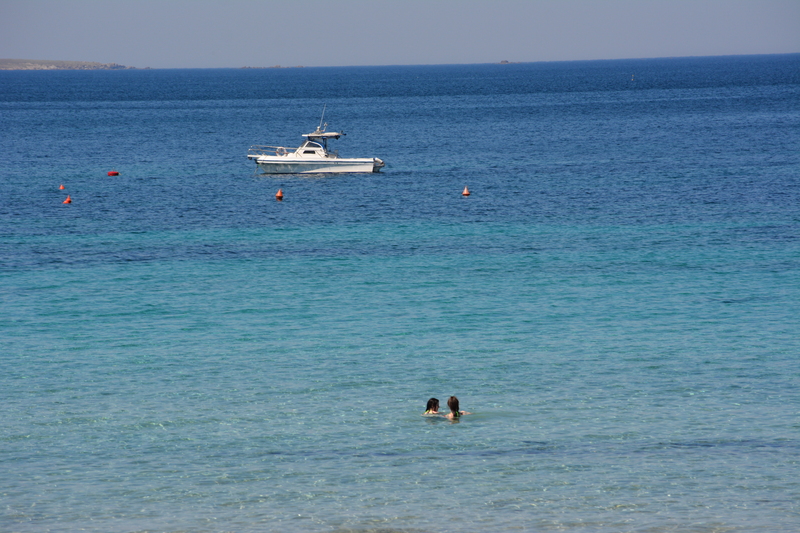 Sardinian life, scenery, friendly people and cuisine, oh the cuisine, cannot be recommended too highly. My training track in Putzu Idu. I wrote this on the patio of the house our friends arrange for us to stay in – with only about 100m of beach and sand dunes between me and the sea. It is a real family beach, and has been for us for so many years. I can hear the mammies and daddy’s calling their children, in Italian of course, and the children laughing and screaming with joy as they play on the beach and in the shallow water. The bay stretches westwards, edged by hills to the north and cliffs to the south. At its furthest visible extreme, an island marks the end of the bay – its easy to imagine that it marks the end of the world too; it is so peaceful here. My plan, inspired by ‘Born to Run’ is to return home fitter and faster than when we left. Driven on also by one of my daughter’s, the Sardinian step daughter, searingly honest approval of my lack of progress in running, “You’re just an old git who doesn’t train” – there’s not much about that statement that i can dispute, or change, but i can train. I can, i can, i know i can. ‘Born to Run’ is the story of the authors search for pain free running, for injury free running, although he disappears down more cul de sacs then you can count. Follow him though, it is well worth the diversions. McDougall tells us science has concluded that we humans evolved as we are in order to run – not necessarily fast, but far. Specifically, to run down prey. Humans can run farther and at a higher average speed than almost any other species. Our forebears chased their prey, antelopes, deer and other animals, steadily and relentlessly, not allowing them proper time to rest, until they dropped from exhaustion and overheating. They did this for hundreds of thousands, if not millions, of years before any weapons such as spears or bow and arrows were invented. Teamwork was essential, as was the beginnings of scientific thinking, mathematical reasoning, organisation and forward planning. 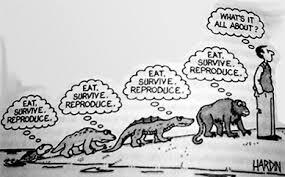 It seem that most of our human mental attributes were developed chasing our food, and, of course, avoiding being a juicy dinner for someone else. Humans can lose body heat by sweating, unlike most other animals who lose heat by panting. As long as humans keep sweating and drinking, they can essentially run for ever and use their breathing exclusively to get oxygen into their systems to fuel those running muscles. Hence the title, ‘Born to Run’ – but of course most of us don’t, we deny our heritage, ignore what we are designed and built for and grown unfit, overweight, unhealthy, prone to injury and unhappiness. So ‘running’ is the answer to the universal question. Start running, or, rather, as most of us run when we are young, keep running. And if you can’t run, walk or take whatever daily exercise you can and build it up. Whatever you have, use it. 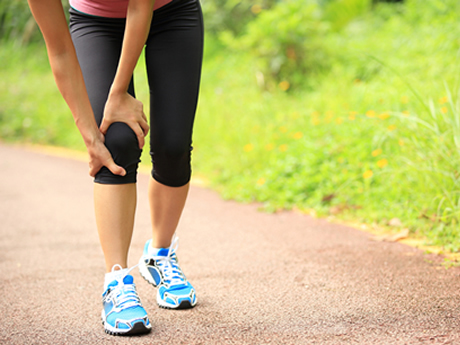 Be as mobile as you can and keep pushing – exercise is the key to health. There is some medical evidence to suggest that running 20 miles a week is the optimum for our health – any more and we might be overdoing it! 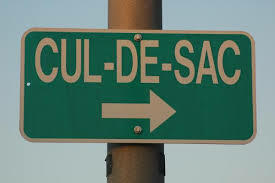 We can worry about that on our 21st mile. McDougall tells us that between 65% and 80% of runners get injured every year, irrespective of age, weight or amount of running they do. So he posed the question, how come he kept getting injured, and the answer was, “Because running is bad for you”, to which McDougall replied ‘why’, to be told it was because he kept getting injured – a circular argument that did not satisfy McDougall. His quest eventually lead him to running shoes and to a tribe of Mexican Indians who live in the Copper Canyons and whose ability to run, and run better than almost everyone else on the planet, is legendary. They are the Tarahumara and they don’t wear expensive runners. Here’s the statistics McDougall quotes, “A lot of foot and knee injuries that are currently plaguing us are actually caused by people running with shoes that actually make our feet weak, cause us to over-pronate, give us knee problems. Until 1972, when the modern athletic shoe was invented by Nike, people ran in very thin soled shoes, had strong feet and had much lower incidence of knee injuries“, and worse, “In fact, there’s no evidence that running shoes are any help at all in injury prevention”, “……… there are no evidence based studies – not one – that demonstrate that running shoes make you less prone to injury”. If that wasn’t bad enough, McDougall provides us with three other painful truths; the most expensive shoes are the worst – runners wearing top of the range shoes are 123% more likely to get injured than runners in cheap shoes – all other variables been allowed for; secondly – feet like a good beating, that’s what they are designed for – that’s their job and that’s what makes them strong; and thirdly – human beings are designed to run without shoes. Now our early ancestors didn’t have to deal with the hazards we can encounter, broken glass, rusty nails and metal, hot tar, uneven pavements, but i’m sure running across the Savannah was no bare-foot stroll on the beach. So, the message is; run barefoot, walk barefoot, be barefoot, whenever and wherever you can and this will greatly reduce your running injuries. If you need to wear shoes when running pick a minimalist pair – a cheap pair even with little cushioning. The advice about restraining yourself to running 20 miles a week may turn out to relate to your running shoes and not to you. The book ends with a great 50 mile race in the Copper Canyons involving both the Tarahumara runners and ultra-running legends from North America – but read the book yourself for the thrilling account of this race and to see who wins – tradition or technology. There’s a lot more magic in this book but we’ll leave it for another day. Today, we’ll finish with a few words, taken slightly out of context but which sound so good, from another of my music heroes – Bruce Springsteen. Keep on running my friends. How incredible, that both of your daughters gave you the same book. And very interesting. I knew about it, but never clued in, that we as humans sweat, other animals do not. I have got injured both years, in the 2 years I have been running. Am now going to start walking barefoot. Your review of the book was amazing, and makes me want to read it myself. Thank you for sharing. Shoes, shoes, shoes are on my mind too and I’m convinced my latest problem is down to a shoe that’s made me weaker rather than stronger.